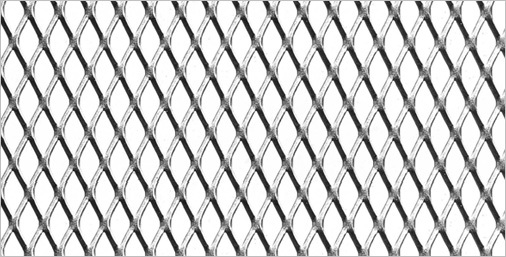 Expanded metals or expanded metal mesh are made from regular expanded sheet metal. No material is wasted during the manufacture. 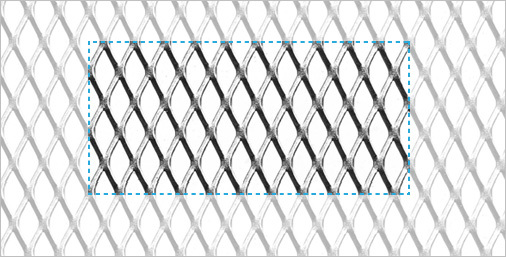 Up to 3 m of expanded metal mesh can be produced from 1 m of raw material. It is therefore a sustainable design element. The 3D character offers a variety of design options. Depending on the angle it is viewed from, it takes on a different look each time. Expanded metals are suitable for outdoor areas, facades, interior design, furniture making and as protective elements. They are fascinating design elements, but at the same time remain relatively robust and have a long life. Whether it is expanded metal made from stainless steel, steel or aluminium - the various application possibilities are convincing: From sun protection to privacy screens through to wall, ceiling and cabinet panelling. Even designer furniture and extravagant shop solutions can be realised with expanded metal. Because the combination with other materials is very appealing. Expanded metal mesh offers interior designers and architects plenty of scope for inspiration: urban design and industry loft charm with an interesting play of light and shadow. - Possible width: from 300 to 1500 mm - Possible length: from 300 to 3000 mm - For technical reasons, individual products are not available in the maximum size 1500 x 3000 mm. Attention: Not all meshes are available for all types of cuts. The bridge width is the width of the material remaining between the openings. 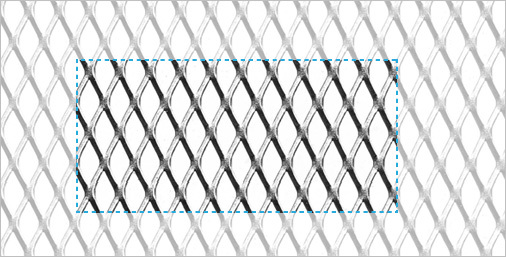 The right bridge width is based on your primary requirement: ventilation, light transparency, stability or flexiblity. If a fixed screw connection is required, wide bridges are recommended. We are happy to advise you in terms of the ideal bridge width. 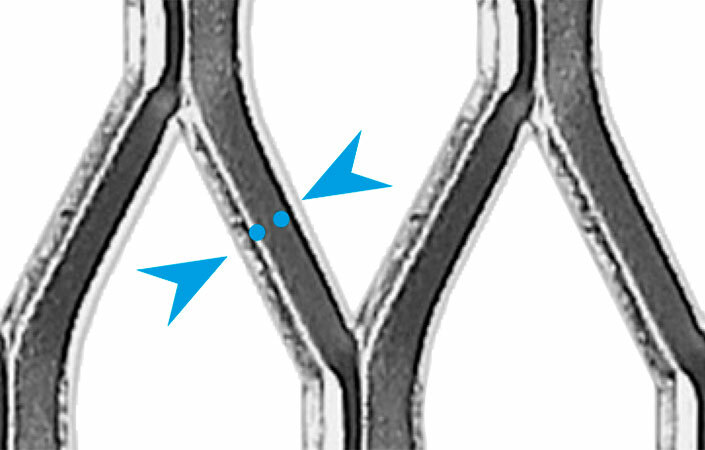 The area marked in the image shows the bridge width of an expanded metal. Every material has its own benefits. Expanded metal made from aluminium is very light. It is used when a lightweight design is required. High corrosion protection is important in the outdoor area. 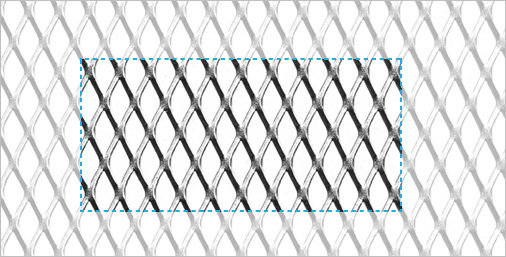 Expanded metal made from stainless steel or aluminium is particularly suitable here. The protection can be enhanced with additional surface treatment of the metal. For example with subsequent galvanising or powder coating. The expanded metals can generally be used everywhere. Simply ask our sales consultant. Our expanded metal is available in the following materials. For more details please click on the respective material.